Outdoor season has finally arrived! The aftershocks of the Tohoku Region Pacific Coast Earthquake seem less frequent and the weather has been warm enough to enjoy outdoor sports! There are so many camping areas and other outdoor facilities in Gunma where you can spend a great time with your family and friends. 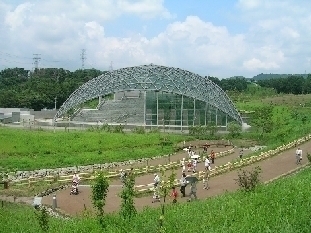 For this month, we would like to show you some of the amazing outdoor activities that you can enjoy in Gunma. 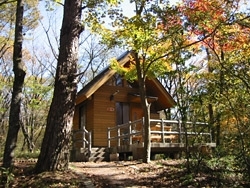 Haruna Auto Camping is located by the beautiful Lake Haruna, surrounded by a forest. This camping area has received 4 stars from the Japan Auto Camping Federation. 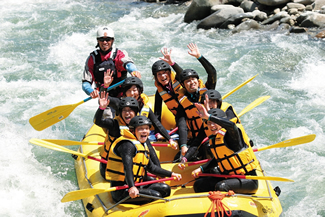 Minakami is known for its rapid river perfect for rafting and canyoning! You can also enjoy canoing, shower climbing, and bungee jumping as well. Did you know there are so many interesting places to visit in Gunma while hiking or simply taking a walk. There is the Tomioka Silk Mill, Haruna shirine in Ikaho and the historical district of Kiryu. These are just some ideas... Click below to see recomemded hiking courses. The summer breeze is nice and fresh now! Cycling/biking is great exercise for this season! There are 22 biking trails in Gunma, three of which are prefectural government-run with the rest run by municipalities, for a total length of 280 kilometers. Stay fit, Gunma! Want to enjoy watching fireflies on the water inside a park? Displaying the collection of 10 years "Harmony of Nature and Humans" Click on the "Exhibitions" on their website to see the schedule for exhibitions for this fiscal year. The Gunma Museum of Art, Tatebayashi has a incredibly beautiful front yard where people enjoy having a picnic or just simply hanging out. Check to see more details. *Admission is free to junior high school students and younger children, holders of handicap certification and one caretaker, and all visitors on Prefecture Day (October 28).